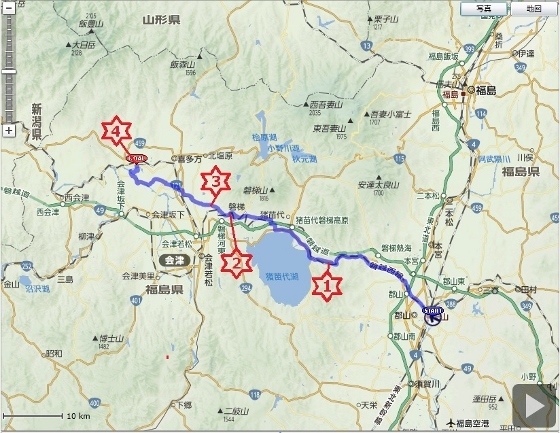 Today I pedaled from Koriyama City all the way to Kitakata City of Aizu Region. 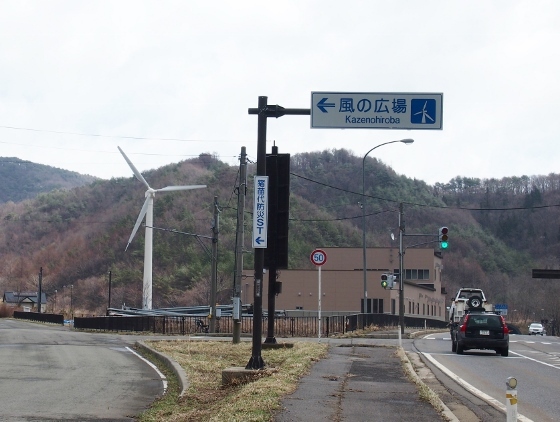 On the way I pedaled up Nakayama Pass, stopped at Kazenohiroba Square (or Wind Square), Roadside Station Bandai and Inawashiro Fourth Hydroelectric Power Plant, and finally I arrived at Iideso Inn at Kitakata City at which I stayed tonight. 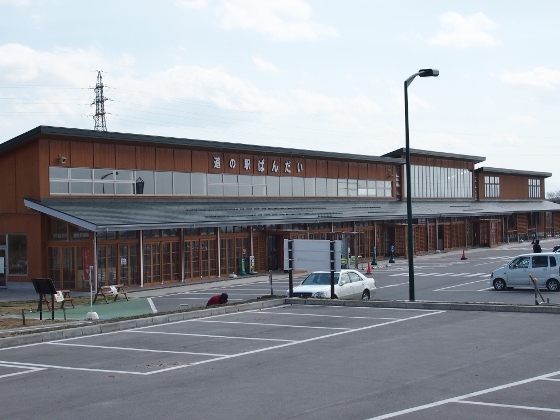 Winter snow disappeared and the season opened which I could travel to Aizu region by bike. 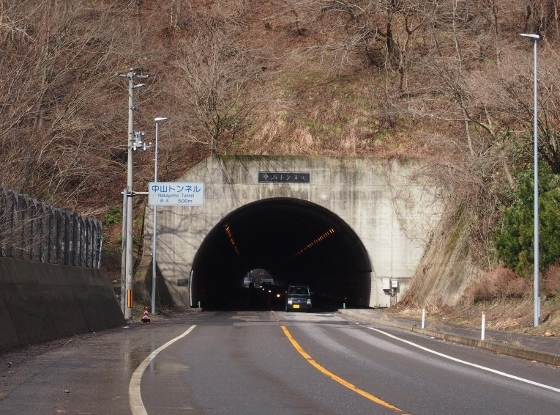 Above photo shows Nakayama Tunnel at Nakayama Pass which was at the border to Aizu Region. 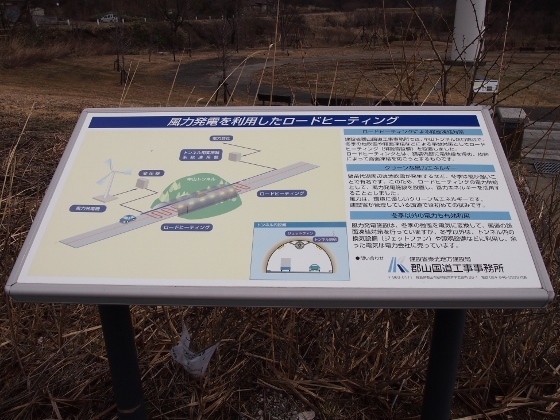 Above photos show the explanation panel and the current wind velocity. It said 13.9m/s at that time. 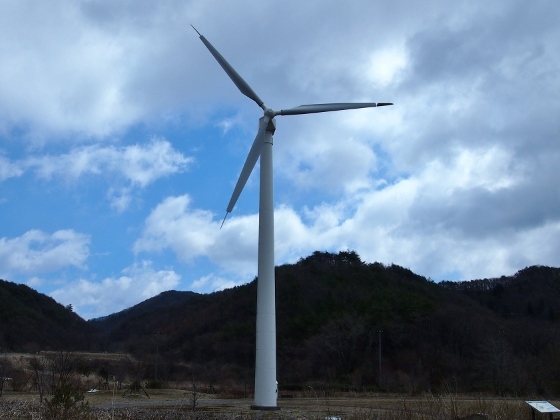 However, the turbine was not working today for some reason. There also was a restroom here. Next I took a lunch at Roadside Station Bandai at Bandai Town. It was spacious, clean, and comfortable. The location was red asterisk 2 in the map. 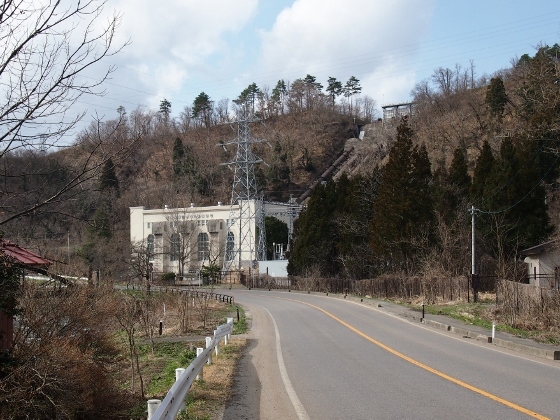 With about 6km ride from Bandai I found Inawashiro Fourth Hydroelectric Power Plant on the right. 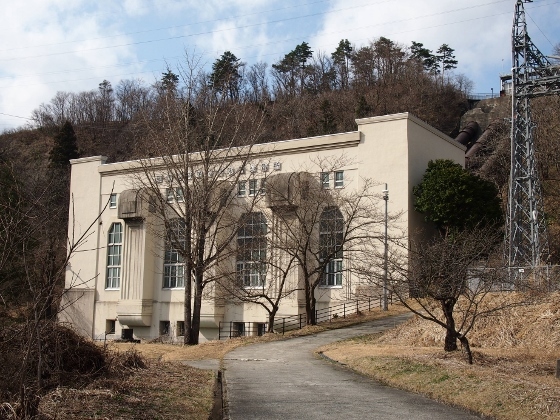 It was a hydroelectric power plant of 6500kw operated by Tokyo Electric Power Co. The power plant building was old but elegant so that it had been designated as Heritage of Modern Construction. 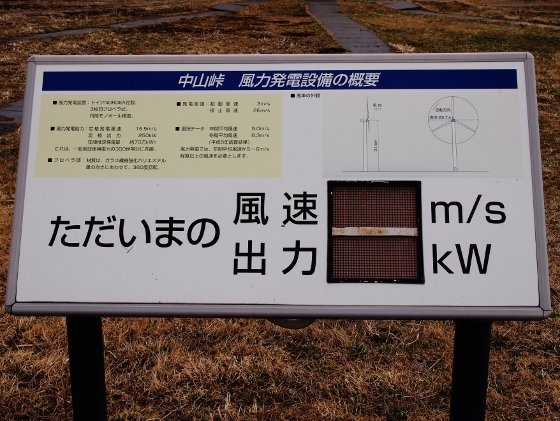 The location was shown as red asterisk 3 in the map. Tonight I stayed at Iideso Inn which was located at Yamatomachi area of Kitakata City. 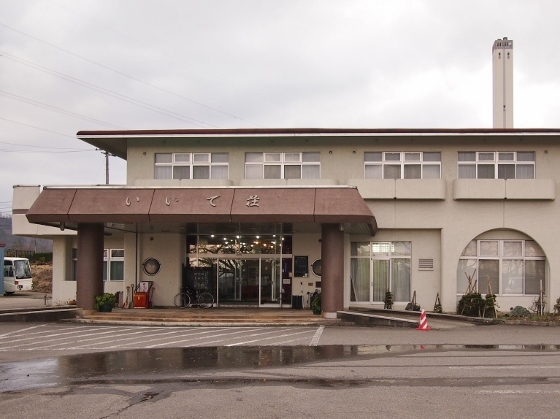 It was a public inn without hot spring: however the charge was very reasonable, the meal was very good and the stay was very comfortable and refreshing. Yamato Soba which was a specialty of Yamatomachi was served here. The location was shown as red asterick 4 in the map.